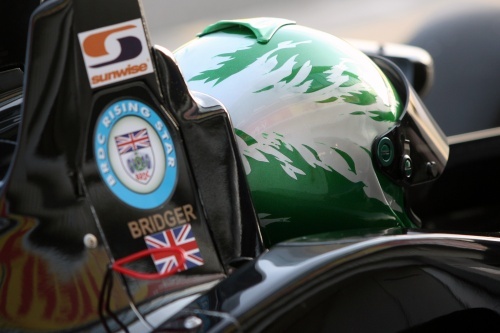 Former 2008 British F3 National Class Champion, and BRDC Rising Star Jay Bridger, is stepping up to the British Formula 3 International Series with Litespeed F3 team. The Kent-based 22-year-old will drive a Volkswagen-powered Dallara chassis. Jay's competitive career began at the age of nine in karts. After a season in BRDC single-seaters in 2005 he moved on to Formula Ford, in which he was Festival runner-up in 2006 and fifth in the British championship the following season. Five class wins in a Fluid-prepared Dallara netted him the British F3 National title in 2008, and the following season he took his maiden steps in the championship's International class with a Litespeed F3-prepared Mygale chassis. It will be Jay's third season in Europe's most competitive single-seater championship, and Jay plans to work hard to impress Litespeed F3, which recently announced a talent-spotting affiliation with the reborn Lotus F1 team. "Litespeed F3 helped me through a difficult season in 2009 and I am looking forward to demonstrating to both Litespeed and to my new sponsors, H2 Industries, just how competitive I can be," said Jay. "I have unfinished business in British F3 and the package that Litespeed F3 has put together for 2010 is very strong. I can't wait for the season to start."